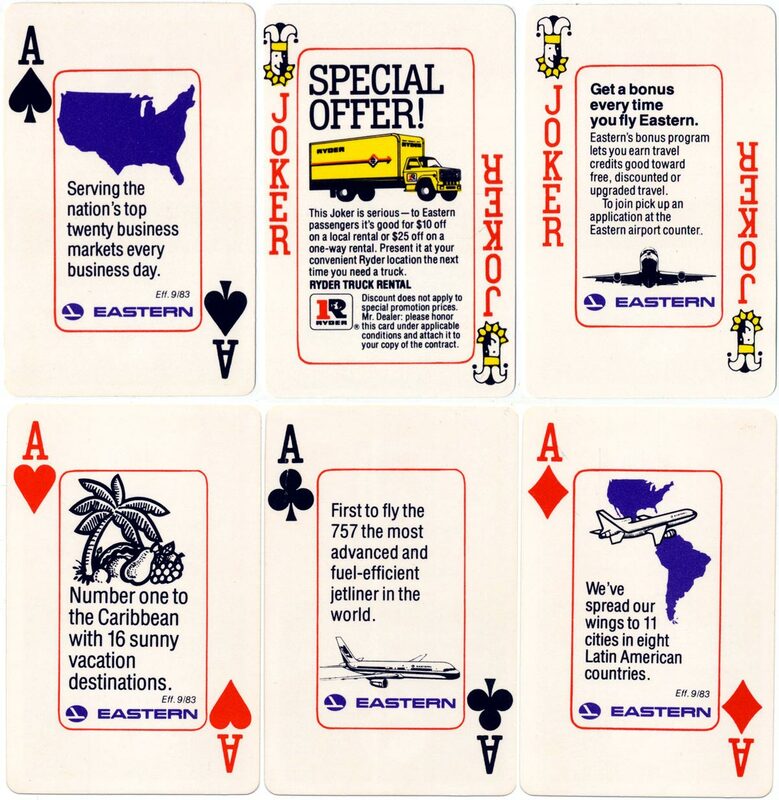 A dual advertising deck for Eastern Airlines and Ryder Trucks, produced by Hoyle, 1983. 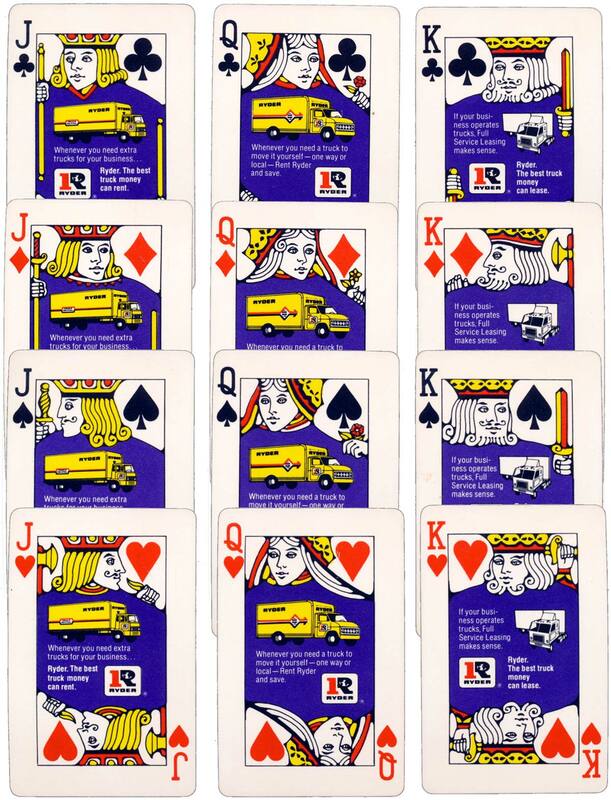 The jokers each carry an advert for one of the two companies, the court cards carry and advert for Ryder trucks, the aces for Eastern Airlines, the pips are standard, the backs are dual-advertising. 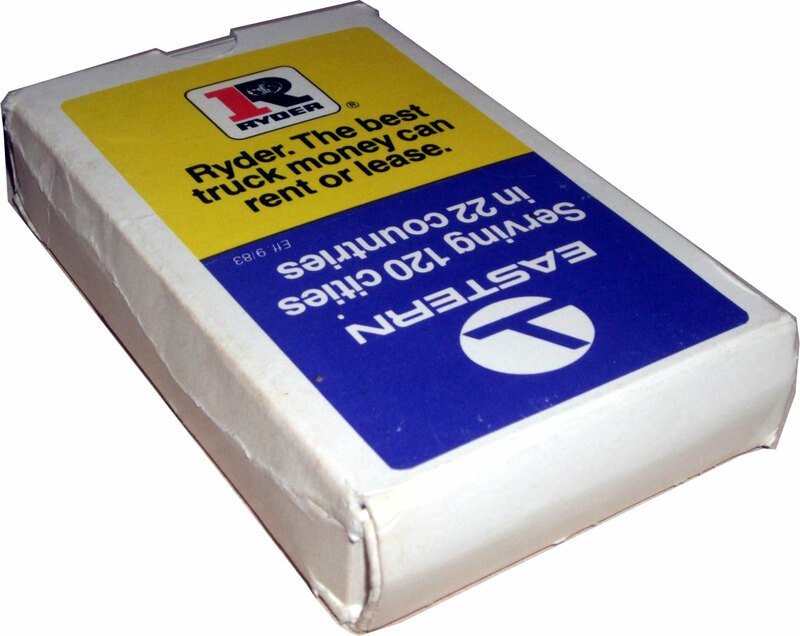 Above: dual advertising deck for Eastern Airlines and Ryder Trucks, produced by Hoyle, 1983. Images courtesy Matt Probert.